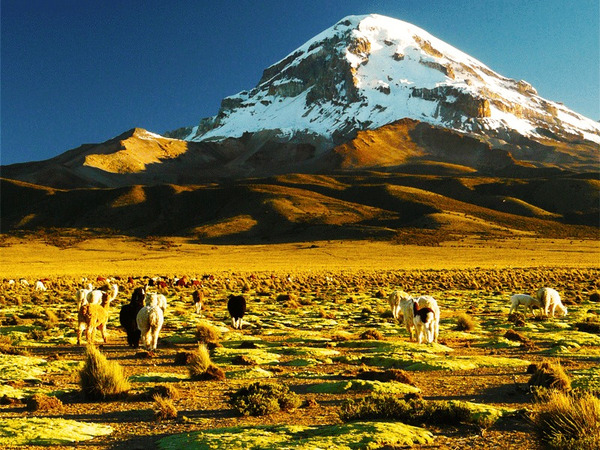 The volcano Sajama is the highest point in Bolivia that it dominates from its 6542 meters. A real Giant! 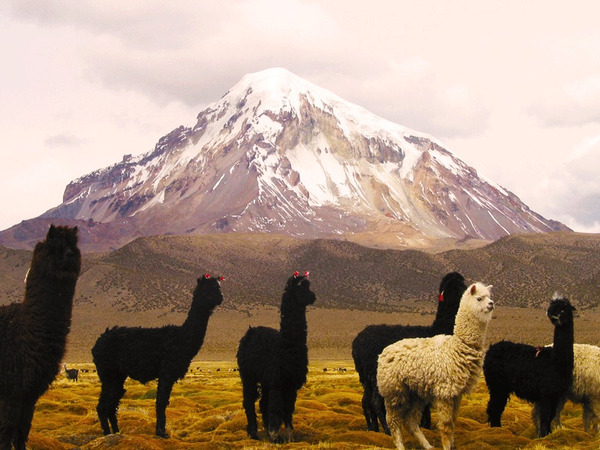 It is located at the heart Sajama National Park, containing as in a concentrated way a sample all the marvels of the Altiplano : colorful bofedals where alpacas come graze, an abundant wildlife, hot springs and other geysers… It also offers an impossible to equal panorama of perfectly conical volcanoes: Parinacota, Pomerape, Acotango… Our efforts will be largely rewarded; just the view from the summit is breath taking. 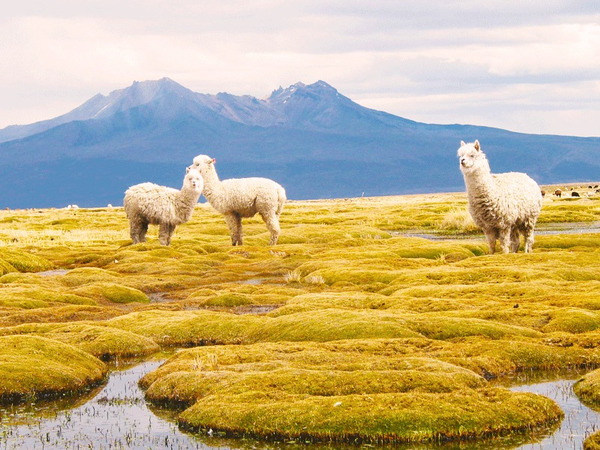 And then upon return, the delight of the hot springs… Warning: Although of an accessible technical level, this expedition is nonetheless reserved to passionate in perfect physical condition.